Happy Fall! 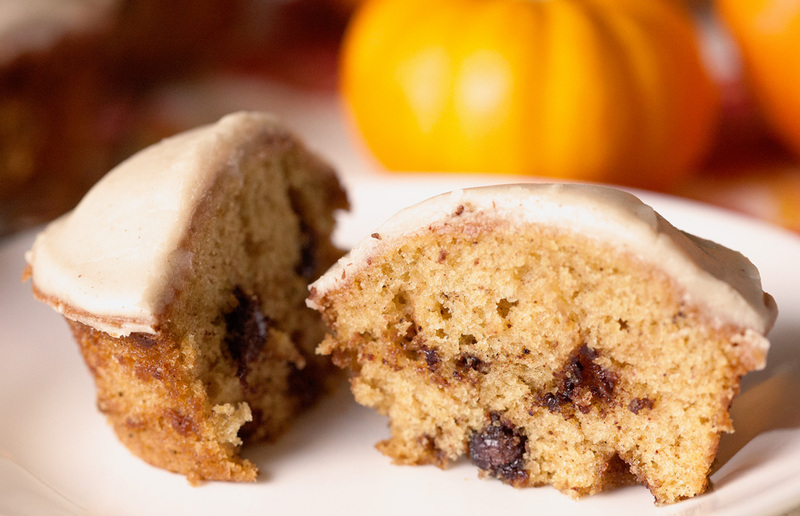 As promised, we are kicking off the week with a fall-inspired goodie. I still can’t believe we’re already entering the last quarter of the year. Here’s to all things cozy, comfy, and beautiful. It is no secret that I adore summer, but I am so glad that we live in a place where we can thoroughly enjoy each season to its fullest. Pumpkin lattes, brisk nights, candy corn, pies, campfires… the list goes on and on. So break out your sweaters and coats and prepare for the sound of crunchy leaves under your feet and rich, deep colors of fall. Back to these muffins. Pumpkins and apples run a tight race when it comes to this wonderful autumn season. 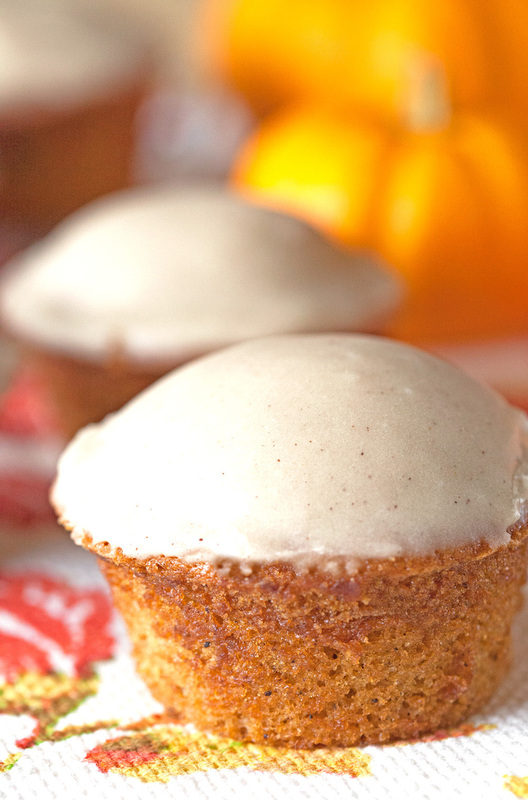 I don’t think I could choose which flavor I’d rather bake and create with, but I tend to first choose pumpkin. Fall pretty much equals pumpkins. At least in my head. No worries, apples will receive their full appreciation in due time, but let’s start with the most wonderful, seasonal muffins. 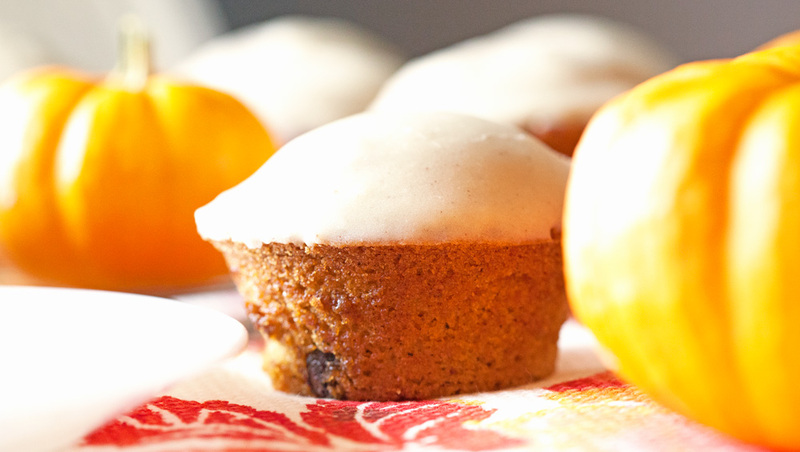 Muffins are the perfect little snack. Good for pretty much any time of the day and I have yet to meet a person who dislikes them. One bite will have you immediately hooked. Not only do they look stunning, but they definitely taste even better. They are dense, smooth, and dare I say it… moist. Nothing could be more satisfying. Something else that is out of this world? The glaze. When I finished baking the muffins and put them aside to let them cool, I wasn’t quite sure what to top them with. Out of nowhere… brown butter jumped into my head and I got started. If you never made brown butter, don’t worry, it’s super simple to prepare. Next, I added some sugar and milk to the butter, but it still wasn’t quite where I hoped it would be. I wanted more pumpkin, so I proceeded to add pumpkin pie spice. So happy I did. 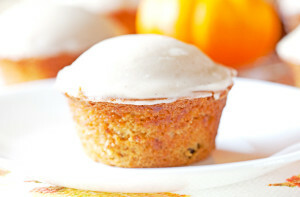 It sets the muffins over the top and works beautifully with the rich pumpkin flavor of the muffins. It also holds up pretty well on its own – all you need is a spoon, but you didn’t hear that from me. Here’s an up-close look inside these yummies. And since these muffins came out of my kitchen, it shouldn’t come as a surprise that you will find chocolate chips inside. What can I say? I just can’t help it. And I don’t want to. Fall-inspired pumpkin muffins with a glaze that is out of this world. Preheat oven to 350 degrees F. Grease and flour muffin pan or use liners instead. 1.In a large bowl, mix together pumpkin puree, eggs, oil, water and sugar until well blended. In a separate bowl, whisk together the flour, baking soda, salt, cinnamon, nutmeg, cloves and ginger. Stir dry ingredients into the pumpkin mixture until just combined. 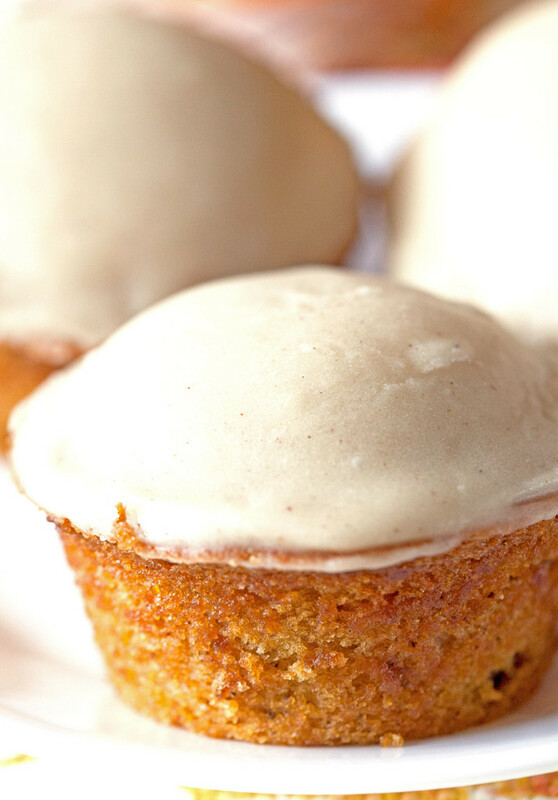 Pour into the prepared muffin tins. 3.Bake for 25-28 minutes in the preheated oven. Muffins are done when toothpick inserted in center comes out clean. Remove muffins from the pan and let cool on a wire rack. 4. Meanwhile, melt the butter for the glaze over medium heat until browned, about 5 minutes. Pour the butter into a small bowl (leaving the dark bits in the pot). Using a fork, mix in the confectioners' sugar and milk until well blended. Add vanilla and pumpkin pie spice and blend well (mixture shouldn't be runny). 5. Dunk the cooled muffins in the glaze and put back onto the wire rack to let the glaze harden.